Shop AmazonSmile to Support SHRF! Please support The Sport Horse Research Foundation by making us your charity of choice on AmazonSmile! AmazonSmile is a simple and automatic way for you to support The Sport Horse Research Foundation every time you shop, at no cost to you! Log in with your Amazon account credentials and bookmark the page. Shop on AmazonSmile! Select The Sport Horse Research Foundation as your charitable organization AND Amazon will donate 0.5% of the price of your eligible purchases every time you shop. They only donate when you shop through https://smile.amazon.com/ch/81-3370168, so remember to bookmark that page. Help us create lasting change: start shopping and spread the word! The more money spent at AmazonSmile with The Sport Horse Research Foundation in mind, the more money will be generated to support our mission. On behalf of the sport horses that will benefit from your gift, thank you! We are most grateful for your support! Our mission is to fund research that will advance, promote, support and direct scientific research and education for the benefit of equine athletes. 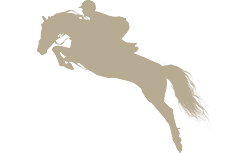 Make a donation to the Sport Horse Research Foundation today. Your donation to the Sport Horse Research Foundation directly funds sport horse research and education. You can have an extraordinary, positive impact on the health, welfare, and athletic potential of equine athletes.